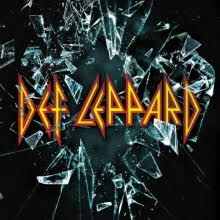 Def Leppard (album title) is their first album in seven years since the much praised ‘Songs From The Sparkle Lounge’. Seven! In most peoples/ bands timescales, seven years is an eternity. Some bands have formed, disbanded and reformed in seven years. For the Leps though it’s a (Yorkshire) Tea break. The early word on the streets is spot on. Def Leppard is probably their finest release since those heady days of the 80s. Lets face it Leppard don’t need to release a new album. They certainly don’t need the money. It’s a huge testament to them that they wanted to release an album, because anyone that goes to see them in the 21st Century probably isn’t interested on hearing anything after Hysteria. They are sitting on a back catalogue of songs that are massive anthems. I get a sneaky feeling that one or two at least are good enough to break into this ‘classic’ set list they have generated for themselves over their (almost) 40 years together. There’s a couple of songs on there that could have done with being cut from the album, but there’s a nucleus of songs at the early end of the album that sound as if they belonged to the Pyromania era. In particular, the gorgeous ‘Dangerous’, the funky ‘Man Enough’, and the guitar laden ‘Sea Of Love’ with its Lynyrd-esque backing vocals. Opener ‘Lets Go’ has the hallmarks of ‘Pour Some Sugar on Me’ flowing through the riff. On the ballad ‘We Belong’ is a cool track as all five get a shot at lead vocals. It’s uncanny as to how close they all sound, which is why the harmonies are always so bloody good! ‘All Time High’ adds some welly back into proceedings; It’s a high energy full on rocker, choc full of Leppard’s layered vocals (pat.pending). ‘Battle Of My Own’ is an interesting mix of Led Zep, Coverdale Page and Chris Cornell’s ‘Seasons’. Why this hasn’t happened with earlier albums is a mystery. Finally Def Leppard have played firmly to their strengths -huge harmonies, and even bigger riffs. The ‘older guard’ of rock music has certainly played their part in the music of 2015. Thunder have given us one of their finest ever albums, Bands such as FM Romeos Daughter and Europe have all made considerable valuable contributions – all of whom are proving that rock certainly aint dead. If this is to be their final album, then this is one decent way to go out. Def Leppard will certainly be lapped up by their existing fan base and deservedly so. The live gigs will/should be around for some time yet, in the meantime, get onto the retailer of your choice, sit back and enjoy the ride. Already in the early eighties, Mika Grönholm showed his first deeper interest for the world of music by listening to bands like the Beatles, Led Zeppelin, Rush, Yes and Van Halen (to name a few) ... so inspired, he began to play guitar himself. Over the next decades and with a lot of studio and live experiences, he formed his own band GRÖNHOLM to realize all his musical and lyrical ideas. With drummer Tom Rask and singer Markku Kuikka the right comrades were quickly found and the impressive results of this combination are recorded in the two albums "Eyewitness Of Life" 2010) and "Silent Out Loud" (2011). I have to admit that Grönholm are a new band to me despite my love for a lots of things melodic. 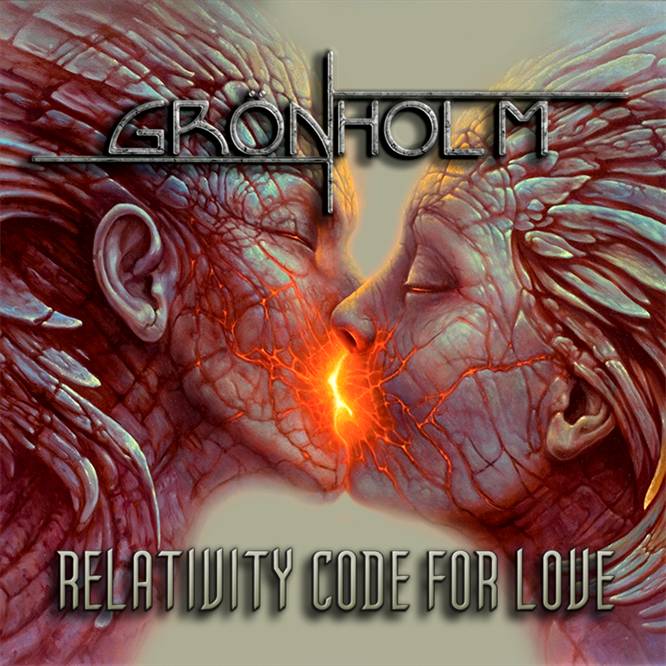 The upcoming third album "Relativity Code For Love" is an appreciation, study and musical journey about love, all told in the language of melodic rock. With British exceptional singer Lee Small, rock fans worldwide best known as the voice of Shy, Tom Galley's Phenomena, Skyscraper and many others, one of the most appropriate artists was taken on board to give this mission the right refinement. Watching Small live is not one of the best things as his rapport has always been that of devoid of eye contact. But, this isn’t live, and you judge him on his vocals. The very first listen is one of absolute quality. Lee Small has a soulful and bluesy tone. Now if I said that he was a poor mans Glenn Hughes, the praise is still high as Hughes is an absolute ROCK GOD! His voice is one of the smoothest around. If you love the lives of Overland and Ousey then Lee Small should be high on your list. ‘Reasons’ opens the show and its one that instantly grabs your attention. 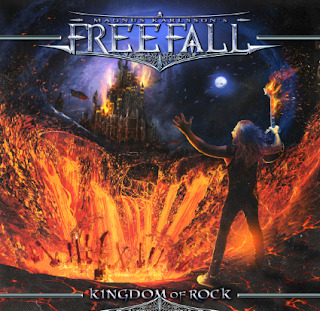 Small shows subtle Glenn Hughes tendencies, but the overall result is one that is of a high calibre and very polished. ‘Home In Our Hearts’ has a bubbling under feel to it, and after a couple of listens its one of the best AOR songs of the year! It undoubtedly shows the strength of Grönholm’s writing. ‘Like An Angel’ is more direct, a powering riff duelling with Smalls vocals. The result is a concise and entertaining piece of Hard Rock/Melodic Rock/AOR with fine progressive influences and resounding catchy melodies which will grab the audience with a unique style and higher musical claims. The fresh dynamic mixing and mastering of Janne Tolsa (Nightwish, Tarot, Eternal Tears Of Sorrow ...) has completed the whole release to one of the forthcoming rock highlights this year. 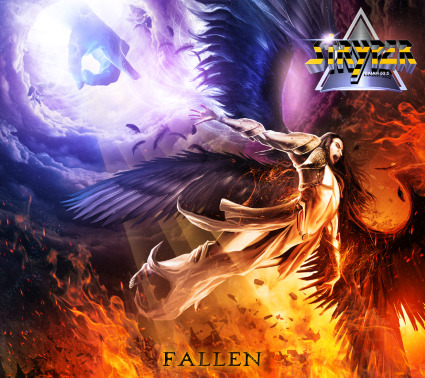 This is an album for any discerning fan of AOR/ Melodic Rock. I urge you strongly to beg, steal or borrow a copy of this cracking album.